Pottery Alley opened its doors in 2007 and quickly became Lafayette's premiere retreat for clay artists from beginners to advanced potters. Students flock to Pottery Alley to take part in its fun and informational classes and workshops. Pottery Alley offers seven electric wheels, several hand-building tables, a wall extruder, slab roller, and glazes that we proudly mix in our studio. Every month we offer new classes and workshops for all ages and skill levels. Check out our Monthly Classes and Workshops page to find the best fit for you! 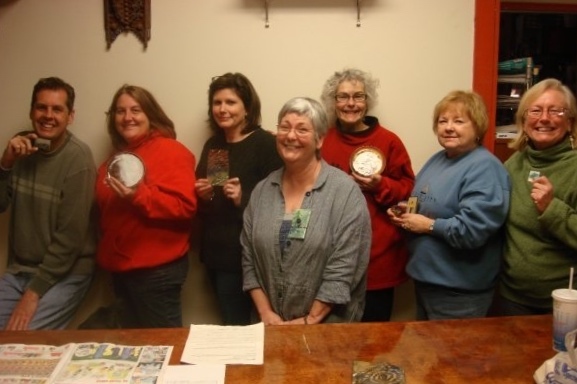 Pottery Alley has a great staff with over 30 years combined pottery teaching experience. Each of our teachers has a unique style and teaching method. We love to teach all ages and skill levels, teaching students the basics and guiding them into creating their own artwork. Whether you’re a beginner or a master clay artist, our monthly classes are a fun way to escape your daily stress and create something all your own. Looking for something a little specific? Our workshops and camps put a little more focus on a particular technique to help you explore or perfect your skills. Our parties provide a fun and entertaining experience that comes with a one-of-a-kind keepsake to remember your special occasion.